In the game, players take on the roles of investigators attempting to solve a murder case - but there's a twist. The killer is one of the investigators! 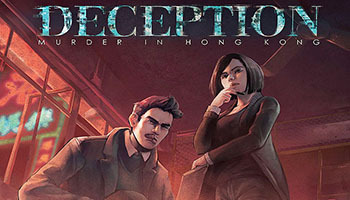 Each player's role and team are randomly assigned at the start of play and include the unique roles of Forensic Scientist, Witness, Investigator, Murderer, and Accomplice. 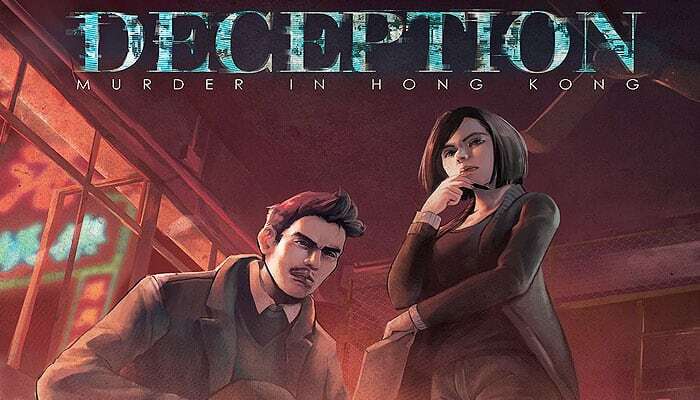 While the Investigators attempt to deduce the truth, the murderer's team must deceive and mislead. This is a battle of wits! The Forensic Scientist has the solution but can express the clues only using special scene tiles while the investigators (and the murderer) attempt to interpret the evidence. In order to succeed, the investigators must not only deduce the truth from the clues of the Forensic Scientist, they must also see through the misdirection being injected into the equation by the Murderer and Accomplice! As the game master, the Forensic Scientist holds the solution to the crime. They are responsible for assisting the Investigators in identifying the "Key Evidence" and "Means of Murder". When an Investigator does that successfully, the crime is solved and the Forensic Scientist and the Investigators win the game. To solve the crime, the Investigators must analyze the hints given by the Forensic Scientist. As long as one of the Investigators correctly identifies both the "Key Evidence" and "Means of Murder", the Murderer is arrested and the Investigators win the game (as does the Forensic Scientist).